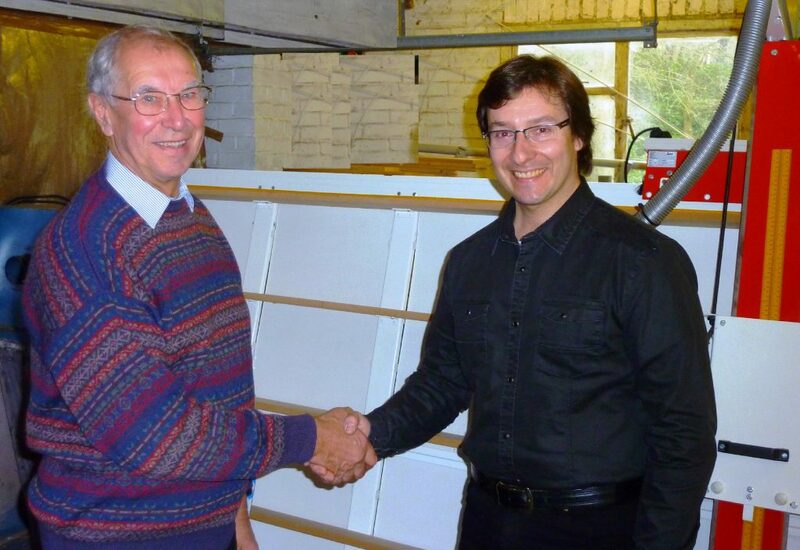 When the recession struck in 2008, the owners of Sagetech, the leading British Manufacturer of vertical panel saws, knew that they could not rely on their home market in the UK, so set about an ambitious development programme to create an attractively priced and very competitive comprehensive range of vertical panel saws for the smaller business. These developments now incorporate both the Zapkut brand for those with lighter cutting duties, with particular appeal to signmakers, and the Koolkut brand for those with heavier demands such as larger signmakers and those in the woodworking industry. This investment is starting to pay off, with the recruitment of Braumat of France (www.braumat.fr) being the latest distributor overseas to see the market potential in their own country. This family owned and operated business, based near Nantes in Western France, was started by the father and is now into the second generation. They offer a comprehensive range of machines for signmakers, but realised the need to be able to offer their customers machines for cutting substrate. This will enable them to offer a one-stop shop, as they already supply not just a wide range of machinery but also a comprehensive range of consumables. Like all of the other machines in the Sagetech range, this enables the operator to cut both along the length of the sheet and also across its width. At the same time, it provides the useful benefit of being able to control the depth of cut (of particular value when using a backing board to protect thin acrylic from shattering) but it also bevel cuts when joining large pieces to make an over sized sign.The Zapkut ZM range and both the Koolkut ranges now come available with an optional router head for v-grooving of aluminium composite, useful for those seeking to manufacture ‘light boxes’, for example, representing a much faster method than the rail system where every cut has to be accurately aligned. All of the ranges are available in a comprehensive choice of sizes, well placed to meet all of the main sizes of material used by sign makers and woodworkers throughout Europe and beyond. Braumat and Sagetech look forward to seeing new customers making their way to Raphael’s well-ordered facilities near Nantes.